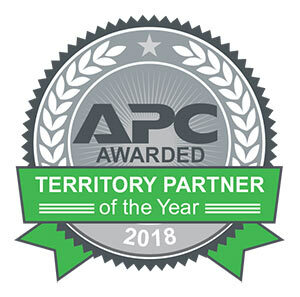 APC by Schneider Electric, the industry leader in digital transformation of energy management and automation, has named ANM Territory Partner for the Rocky Mountain Region. The Albuquerque-based IT provider was recognized for outstanding performance across 20 US Districts in growing the APC brand by providing its industry-leading IT solutions to clients in a connected world. ANM, a premier IT solutions provider for the US Rocky Mountain Region, today announced it has been named a 2018 APC by Schneider Electric Territory Partner of the Year by Schneider Electric, the leader in the digital transformation of energy management and automation. The awards program recognizes top Schneider Electric channel partners across 20 US districts that have grown the APC brand in their customer communities by consistently delivering simplified, powerful and integrated components and solutions to achieve Certainty in a Connected World. The popularity of smart devices and the rising adoption of IoT has made data a must have for all industries. This reality brings new opportunities, but also means businesses must have an intelligent and reliable system in place to keep data secure and available whenever and wherever it’s needed. ANM designs, implements, and supports IT solutions from leading providers of technology, including Cisco, Dell EMC, NetApp, VMware, Splunk, and F5. By focusing on these industry leaders and technology trendsetters, we are able to deliver a high level of expertise. Our dedicated professionals working with these manufacturers are experts in the products they manage. ANM enjoys a customer satisfaction rate of 94.9%, as well as an excellent employee retention rate. We have become a recognized leader in the IT industry, serving large and mid-sized customers. Headquartered in Albuquerque, NM, ANM has offices in Denver (CO), Colorado Springs (CO), El Paso (TX) and Scottsdale (AR).